Home - Supply Sourcing, Inc.
Supply Sourcing, Inc. (SSI) for all your paper and plastic bag needs! SSI was incorporated in January of 2001. We currently service customers in 33 of the continental United States and are expanding every year. SSI is your single source for stock or custom plastic t-shirt, wicketed, and roll bags, plastic packaging and films as well as stock and custom paper bags. 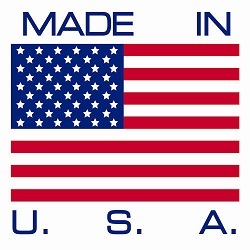 Our outstanding manufacturer relationships allow us to provide our customers with everything Made in the USA. One of our specialties is custom merchandise and t-shirt bags. Our creative staff provides custom graphics, artwork and custom plates for all of our customers. At SSI we value high integrity, quality products, and competitive pricing while we maintain close relationships with our customers in order to provide outstanding customer service. Are you looking for a hard to find or custom item? We will search the market for you and find you the best quality and price.